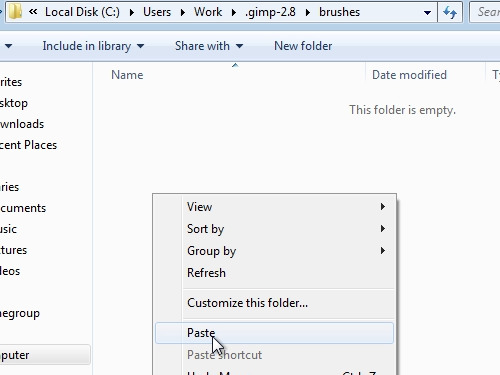 In this video tutorial we will show you how to install gimp brushes in windows 7. In order to install gimp brushes in windows 7, open the Internet Explorer. Go to “deviantart.com”. Type “photoshop brushes” into the search field and press “Enter”. For example, choose Lightning Photoshop brushes. 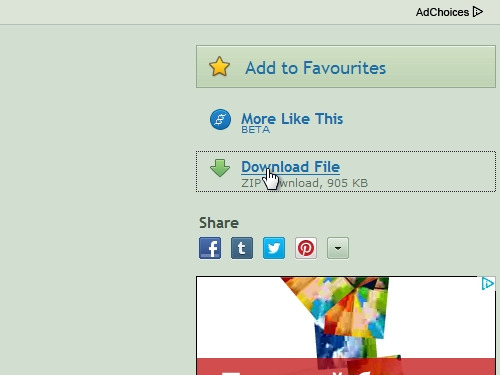 On the next web page, click on “Download File”. Save the file on your hard drive. Open the downloaded archive. Right-click on the file inside the archive and copy it. Then go to the GIMP installation folder and open the “brushes” folder. Paste the copied file. Now open GIMP. Go to the “File” menu and create a new image. Select the newly installed brush and try it out.